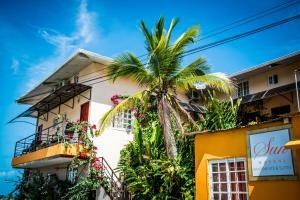 ﻿ Best Price on Alsibiades Apartment in Bocas del Toro + Reviews! 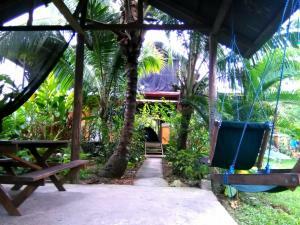 Alsibiades Apartment offers accommodations just 5 minutes away from Bocas Town. Guests benefit from balcony. Free WiFi is available . Alsibiades Apartment is a spacious two bedroom apartment built over the water. The living area is big with an open kitchen. The kitchen is complete, with everything in it to cook some of your own favorite food. The bedrooms have semi orthopedic mattresses, satellite TV, safety boxes, good ventilators and private bathrooms with hot water showers. La casa de Alsibiades is built as third house in a row of four, so the house is surrounded by neighbor houses on all sides. 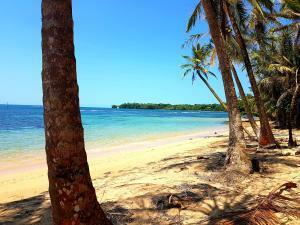 You will get to experience what life is like in Panama’s Paradise.